Many residents of North Carolina are suffering from addiction and drug-related deaths. 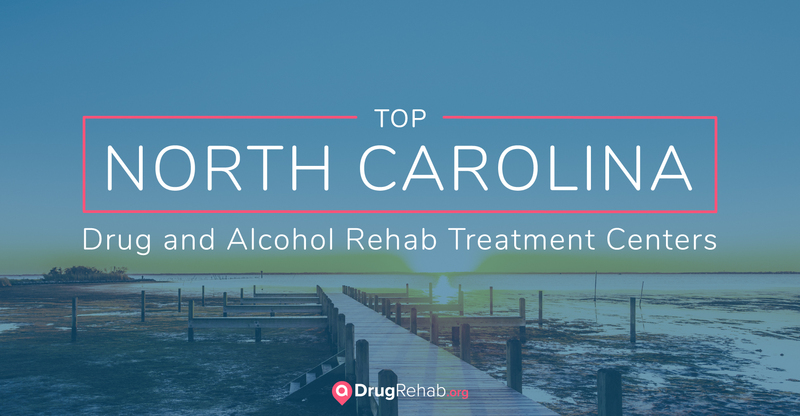 Fortunately, North Carolina has a wide array of addiction rehab facility options. North Carolina is a common vacation destination, as it boasts Atlantic beaches, coastal islands, and the beautiful Blue Ridge Mountains. But behind its picturesque landscapes, North Carolina is struggling with the reality of drug and alcohol addiction. Fortunately, there’s a wealth of drug and alcohol treatment centers in North Carolina that offer innovative care and solid reputations. We have compiled a list of some top drug and alcohol treatment centers in North Carolina based on their positive reviews, success rates and the accreditations these centers hold. Red Oak Recovery offers substance use and mental health treatment for men, women, and young people on a peaceful, 38-acre mountain campus. Therapies include trauma recovery, dialectical behavioral therapy (DBT), cognitive behavioral therapy (CBT), mindfulness, yoga, acupuncture, and family therapy. The Master’s level and the multi-licensed team at Red Oak Recovery also creates personalized treatment for co-occurring disorders, ensuring all clients are cared for individually. At Phoenix Outdoor, young people are given the opportunity to reflect on their past choices and behaviors and gain a fresh perspective on life. Phoenix Outdoor’s substance abuse program is centered around the 12- steps, and is for youth ages 14-17 that struggle with issues such as depression, anxiety, addiction, and family conflict. Phoenix Outdoor also offers an academic component, arts therapy, and relapse prevention skills. Western Carolina Rescue Ministries offers a free, 12-month residential drug and alcohol program for men. This faith-based “life training course” includes Biblical studies, spiritual counseling, and ministry and prayer sessions. Western Carolina Rescue Ministries also has Abba’s House, a free, 12-month program designed to help mothers and infants achieve recovery from addiction. Female clients have access to a private room for themselves and their child, along with Biblical studies, parenting skills, employment and educational opportunities, and trauma recovery. Since 1971, Fellowship Hall has been helping guests achieve and maintain sobriety at their 99-bed treatment center. Located on 120 peaceful acres in Greensboro, Fellowship Hall’s treatment methods are based on abstinence and the 12-step model. Fellowship Hall has gender-responsive treatment programs, and tracks for young adults or licensed professionals that focus on trauma recovery, grief and loss, and relational wellness. Fellowship Hall offers inpatient, outpatient, and transitional sober housing options for its guests. At Pavilion, patients will find healing for the whole person, “not just the symptoms.” Pavilion’s focus on mind, body, community, and spirit allows patients and all diagnoses to be treated holistically. Located on a 160-acre mountain campus, Pavilion provides gender-specific treatment and a family program, in both inpatient and outpatient settings. Pavilion houses a multidisciplinary treatment team, and offers relapse prevention and continuing care options. The Insight Program offers residential and intensive outpatient addiction treatment for teens and young adults (18-25). Using an approach called “enthusiastic sobriety,” The Insight Program provides a positive living environment in which to begin recovery. Through therapeutic counseling, support groups, and self-esteem classes, clients are given the tools necessary to heal and recover. The Insight Program also strongly believes in the power of family support, so loved ones are invited to participate in part of the recovery process as well as the client’s aftercare. When someone uses drugs or alcohol, toxins collect in the body and individuals can become physically dependent on a substance. Sometimes, those suffering from addiction don’t even want to drink or use drugs anymore, but their physical dependency demands the substance in order to feel normal. One of the first portions of treatment people experience is the detoxification process. During detox, the body attempts to clear toxins from the body, causing mild to severe withdrawal symptoms. Depending on the drug(s) being used, withdrawal symptoms may differ but may include fatigue, anxiety, tremors, and gastrointestinal issues. Sometimes individuals think it better to detox at home, but this can be dangerous. Especially when detoxing from alcohol or benzodiazepines, the withdrawal symptoms can be life-threatening, and medically supervised detox is strongly suggested. Julian F. Keith Alcohol and Drug Abuse Treatment Center is one of three state-operated inpatient treatment facilities in North Carolina, designed to offer medically supervised detox and psychiatric stabilization. Anyone in the regional area can attend this facility regardless of finances, as they charge based on a sliding scale. If the diverse treatment options feel overwhelming, try narrowing down your search by first determining if you want a residential or nonresidential facility. In inpatient drug and alcohol addiction rehab centers, patients stay overnight after completing various therapies throughout the day. The National Institute on Drug Abuse asserts that at least 90 days in treatment is associated with more successful outcomes. If a residential treatment facility is an option for you, consider an inpatient stay for a more all-encompassing recovery experience. Inpatient drug and alcohol rehab centers are the ideal places to receive the full continuum of care offered in North Carolina. Treatment lengths will differ, but short-term inpatient stays typically last between 30 and 90 days. Treatment lasting 90-120 days is considered long-term, and is associated with the most positive outcomes in research studies. This intensive approach allows clients to fully immerse themselves in the recovery process. Crest View Recovery Center offers a comprehensive approach to addiction treatment, including inpatient, outpatient, and dual diagnosis care. Located in scenic Asheville, Crest View uses behavioral therapy, reality therapy, acupuncture, yoga, and meditation in order to help clients build a strong recovery program. The goal of Crest View’s inpatient program is to arm clients with life management tools, in order to ensure resilience in their lives after treatment. Also called dual diagnosis, co-occurring disorders are when an individual’s substance use corresponds with another mental disorder, such as bipolar disorder. An estimated 7.9 million U.S. residents suffer from dual diagnosis, and treatment facilities throughout North Carolina offer specialized care in order to serve this population. Legacy Freedom, with locations in Asheville, Charlotte, and Raleigh, focuses on holistically treating those with substance use and other mental health disorders. Legacy’s philosophy is simple: “If we love who we are and what we do, we don’t desire a lifestyle focused on substance abuse.” By using a sophisticated blend of therapies like equine therapy, aromatherapy, sound therapy, EMDR, and psychotherapy, Legacy helps clients find and resolve underlying causes of substance use and mental health concerns, in order to focus on building the life they want. Because men and women can have different biological responses to substance abuse and addiction, many drug and alcohol treatment centers in North Carolina offer gender-specific treatment. Some facilities also have programs tailored to LGBT+ clients. When individuals feel safe in their environment, they are more likely to have a successful treatment outcome. Four Circles Recovery Center in Horse Shoe offers a male-only program that’s adventure-based, and includes an emphasis on self-esteem, body image, transitioning into manhood, and societal pressures. Four Circle’s women-only addiction treatment program focuses on healthy relationships, self-esteem, self-care, trauma, and positive social behaviors. Both programs at Four Circles contain relapse prevention groups, medication management, and wellness components. Another great option to consider is a luxury rehab facility. Some may think luxury rehab centers are only for celebrities, but there are several options in North Carolina that are made affordable through insurance options. In luxury facilities, clients experience traditional therapies such as individual and group therapy, but also have the addition of sumptuous accommodations on a tranquil, exclusive property. Luxury rehab centers usually have a higher price range, but the cost ensures access to upscale amenities like massage, fine dining, acupuncture, and personal sober coaching. The clientele in a luxury facility may also enjoy personal fitness instruction, private rooms, and spa treatments. Silver Ridge Recovery, located in Mills River, specializes in providing discreet and effective drug addiction treatment to professionals in an exclusive treatment setting. Nestled on 12 acres of secluded property, this 10,000 square foot center is outfitted in a modern style, with a gourmet kitchen and breathtaking mountain views. Silver Ridge offers equine therapy, yoga, horticulture therapy, and psychoeducation coupled with meaningful individual counseling on the serene property. Medication-assisted treatment (MAT) is an important factor in addiction treatment, as it can be used both during the detox process and as a relapse prevention tool. When an individual is dependent on a substance, their body may require time and medical attention to “detox” from the drugs or alcohol. Certain medications can be administered in order to lessen withdrawal symptoms and reduce drug cravings, allowing individuals to progress through the withdrawal period as safely as possible. Detoxing from opioids is not usually dangerous, but can be physically agonizing. Medical professionals may administer buprenorphine (Suboxone) to lessen the severity of the withdrawal symptoms. When detoxing from benzodiazepines, barbiturates, or alcohol, withdrawal symptoms can progress into a life-threatening stage. Detox from these drugs can be aided by MAT as well, but should always take place under medical supervision. Carolina Treatment Center in Asheville provides medication to treat the physical symptoms of withdrawal, and balances MAT with both individual and group counseling. Patients help to create their own treatment plan, in order to address the emotional and psychological effects of addiction. Family counseling is also available in order to help restore relationships. When someone is charged with a substance-related crime, they may be required to complete a drug or alcohol treatment program as part of their sentence. In these cases, court-ordered rehab programs can be a helpful option for someone struggling with substance abuse and legal problems. McLeod Addictive Disease Center in Charlotte offers a residential program specifically tailored to clients with a DWI charge. Often used as an incarceration alternative, this treatment center offers customized treatment plans, flexible scheduling, counseling, and attorney access and collaboration. Family and significant other counseling is offered, along with amenities such as a gym and meditation room. Intensive outpatient programs (IOP) are designed to be flexible, allowing those with family or professional commitments to participate in treatment. IOPs can also be a “step down” treatment, functioning as continuing care for those who recently completed inpatient programming. IOPs typically run in sessions that last three to five hours, and are offered three to five days per week. During IOP sessions, individuals may work with a therapist or participate in counseling groups. Guest speakers and recovery experts may give presentations, and licensed staff may lead the groups in relapse-prevention activities. IOPs can be successful for those who have a low chance of relapse and are not in need of a medically supervised detox. Community recovery meetings and support groups are considered outpatient care too, and can be a convenient way to stay connected to local recovery resources. Phoenix Counseling and Crisis Centers provides an accessible network of inpatient, intensive outpatient, and partial hospitalization treatment options throughout Gaston, Lincoln, and Cleveland counties. Serving both children and adults, Phoenix Counseling and Crisis Centers believe recovery can be maintained through abstinence, education, and medication management. Treatment is accessible, no matter what your financial situation may be. There are several ways to pay for addiction treatment, whether through public or private health insurance, or through the use of payment plans. Most facilities work alongside clients and their families, in order to ensure treatment availability. Medicaid and Tricare, along with other public insurance options, may be accepted at certain treatment facilities as well. Further, almost all people are at least somewhat covered by North Carolina state- or government-funded insurance vouchers. Throughout the Tar Heel State, families and communities have been rocked by the heavy reality of addiction, specifically prescription painkiller (opioid) abuse. The death rate from overdose has increased 500 percent in the last 15 years, and the court system and public service officers are overwhelmed with these epidemic rates. While prevention efforts continue, intervention is available for those who are suffering, in the form of addiction treatment. People struggling with drug or alcohol addiction rarely seek help on their own — only 8.8 percent of those dependent on drugs and 6.9 percent of those dependent on alcohol seek treatment each year. Knowing treatment facility options can be a powerful tool for you or a loved one as you consider recovery. For more information on finding the right drug and alcohol treatment centers in North Carolina, contact one of our treatment specialists today.